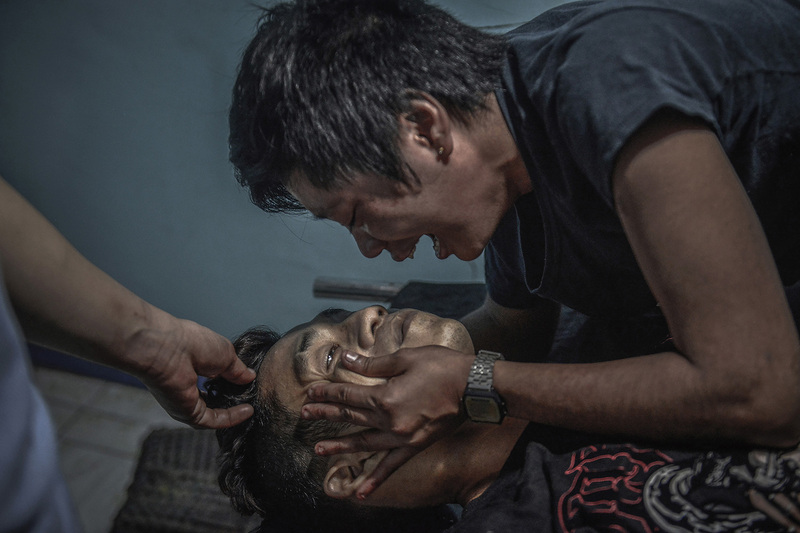 Ginnalyn Soriano weeps over the body of her elder brother Julius, who allegedly fought back and was killed by police during what they said was a drug sting operation, at a morgue in Malabon, Metro Manila, Philippines, June 22, 2017. At the morgue, the family noticed Julius’ wrists had cuff marks. The arm had a bullet wound too, and the slug was still embedded in his arm right where the cuff mark was, suggesting that the cuffs had stopped the bullet. The Ian Parry Scholarship is proud to announce that World as Image, an exhibition of work by winners from this and previous years will be held at More London Riverside, outside City Hall, London, SE1, October 1-29. The exhibition will include photographs by Adriana Loureiro Fernandez, Ivor Prickett, Andrew Renneisen, Liz Hingley, Sharafat Ali, Ed Ou, Kitra Cahana, Marcus Bleasdale, Simon Roberts, Matt Eich, Tafadzwa Ufumeli, Heba Khamis, Yuyang Liu and present the works of Ezra Acayan, recipient of the Ian Parry Scholarship 2018 Award for Achievement, Salahuddin Ahmed, who receives the Ian Parry Scholarship 2018 Award for Potential, and Mushfiqul Alam, highly commended. and thank D237 and Kingswood Ioptus for all their help on this adventure!